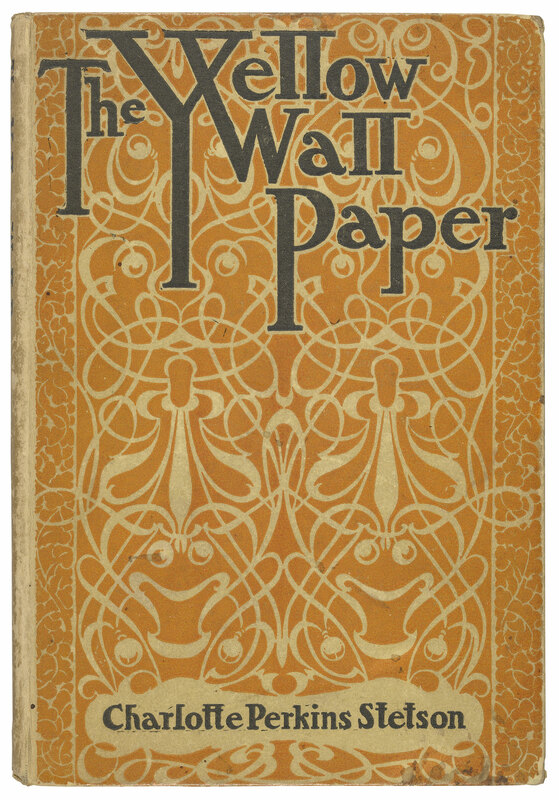 The yellow wall paper / by Charlotte Perkins Stetson. Boston : Small, Maynard & Company, 1899.
, 55 p. ; 17 cm. Purchased on the Gordon N. Ray Fund; 1996. Verso of t.p. : "Rockwell & Churchill Press, Boston, U.S.A."
Reprinted from The New England Magazine of January, 1892. P. : "The cover design is by Mr. E.B. Bird." Publisher's printed bds., designed by E.B. Bird, in mylar wrapper; boxed. .